When considering how much house you can afford, you’ll need to look beyond mortgage payments for the true cost of home ownership. Many hopeful home buyers assume that a sufficient down payment is all they require to qualify as homeowners. But that’s a fallacy even I wound up believing so many years ago, as one young, fresh-faced would-be-homeowner. Only with time did I realize how costly it really was to maintain a house, with the cost of property ownership being proportionate to the size of the house one chooses to live in. Now if there are people who are unable to hold on to their homes despite the fact they’ve gotten them for free, what can we expect from the rest of us who actually have to fork out the money to own a home? Well, it’s tough. A house will take a chunk out of your budget. And a big house will rack up even bigger expenses. Home affordability should refer to more than just your ability to pay for a mortgage. 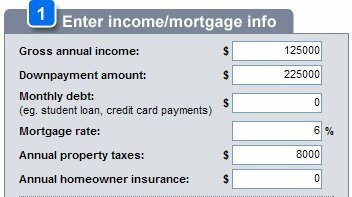 But a lot of home affordability calculators, like this one from CNN Money, seem to miss out on some details. I’m not sure they’re adequately considering the many more things you’ll need to budget for as a homeowner, once you’re “stuck” with your dream home and mortgage. Monthly mortgage payments of principal and interest, unless you have an interest-only loan or if you are on a bi-weekly mortgage program. Real estate taxes, paid annually or installments. You might also pay 1/12 of your tax bill each month along with your monthly mortgage payments if your taxes are held in escrow by your lender. Basic homeowner’s insurance, paid monthly with your mortgage (if you escrow your insurance and taxes) or paid annually. Homeowner’s (or condo, or co-op) association assessments. Utilities, including electricity, gas, cable, satellite, online, wireless, etc. Trash and garbage collection, including recycling as required by your local municipality. Water and sewage, which may be billed separately or together. Regular ongoing maintenance, which could include window-washing, changing filters in your air conditioning units, cleaning your furnace, clearing your gutters, chimney sweeping, lawn and yard work, snow removal, blacktopping your driveway, resealing your windows, replacing caulk in the bathrooms, and changing light bulbs. Occasional maintenance and repairs, including repainting the interior and exterior of your home, replacing roof shingles or the entire roof as needed, replacing carpeting or flooring, replacing appliances and other items that break, tuck-pointing brick siding, and refinishing hardwood floors. This work doesn’t need to be done often, but will be costly when you do schedule the work. A lot of these details often go unnoticed when people are gripped by the excitement and prospect of acquiring their very own residence. You’ll say that most of these costs are things you pay for as a renter anyway and which you can immediately assume are rolled into ordinary living costs. But I found that not to be entirely true. As a tenant, you don’t typically have to worry about home repairs and you certainly won’t have to bother with property taxes or homeowner’s insurance — both of which are big expenses you’ll be shouldering as a homeowner. Also, the size of your home-related expenses will depend on how LARGE a house (or even how many properties) one decides to buy — and for those who are inclined to stretch their budgets to buy real estate at the top of their budget range — it may not be long before they find out the harsh reality of being “house rich”. When you’ve got too much house but not enough income to sustain it, you’re caught in the dilemma often described as “house rich, cash poor”. So don’t let a smooth talking real estate agent entice you to bite more than you can chew (or buy more home than you can afford). Even with the era of “no money down” now behind us, and even as property prices have fallen to more attractive levels, potential home buyers still need to make sure they’re ready for a financial commitment that involves new expenses they’ll need to accommodate in their household budget. I think many people get so caught up in the “idea” of home ownership they forget to look at the real costs of attaining the dream. Personally, I am considering selling my home as a move toward simplicity and time to pursue other interests. Another thing that some people have to deal with is Melaruse. One of my co-wokers was looking into buying a home that had a melruse (an additional tax that funds things for the local neighborhood, such as schools or stop lights) that was practically equal to the property tax. 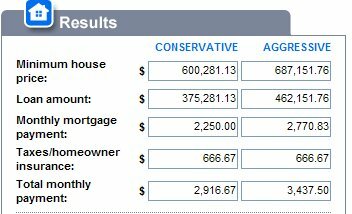 Without even considering the mortgage he would have to pay something like $2000 a month the entire time he owned the house! That’s bonkers. This rings so true here in Michigan. I think we have the leading number of foreclosures in the country! You put in your income, take home, down payment, etc, but then you also enter ALL your other expenses – utilities, home maintenance, child care, auto, clothing, food, etc. At the end, it tells you whether you can actually afford the home you want to buy, given your other costs. let me throw out a link for everyone reading, i use this calculator ALL the time when investigating investment properties (not personal homes mind you)…though it could be used for that. A large down payment does seem to the largest struggle at first. And you’re saying that you still could have troubles even after putting a large payment down? Well I think if you had this problem long ago, hopefully that property is worth a ton now. in SoCal, your interest alone on a mortgage (even a condo mortgage) is more than equivalent rent would be in many cases. people claim that renting is just throwing money away, but you can throw away a lot more money by owning. I rent and invest the difference. I’ve heard that a guideline for home maintenance is 3-5% of the value of the home per year. Comments on how to calculate this important factor? I actually have another article I’m working on that’s about budgeting for home-related expenses. So yes, I’ll be attempting to answer your very question! But as far as I know, the quick ballpark estimate for your home repairs and maintenance *alone* is around 1% of your home’s value. Now toss in utilities, property taxes, insurance and so forth, and it’s likely to hit the range you specified. But I’ll try to go through an example in my next article. So stay tuned! It is so true! Buying a house is definitely not an impulse buy! So many people fall in love with a house and willing get trapped into a mortgage that is higher than what they wanted to spend. You need to come up with a budget that will fit in homes expenses like utilities, repairs, taxes, etc. and that may not even be the end of it! I recommend waiting as long as you can to get a really good down payment since it is the only payment that comes off the principle price of the house instead of the interest! What many people don’t take into account is property taxes which can vary widely from state to state too. But, then they find out their property taxes approach 3% in Texas…getting that first bill must be a shocker if you are used to 1/2%! I think another important cost of home ownership is all that you will want to do to make your new house yours. There’s painting, landscaping, filling up the rooms with new furniture and the walls with decorations (because chances are great that if you came from an apartment, you have a lot more wall and floor space to fill). Though these are definitely not mandatory, like the items in your article, the temptation is there, and I imagine it’s not always something people take into consideration. This is especially true for people looking for a second / holiday home. Very often we manage to steer people away from buying because of the cost of maintenance. On a second home you need to get contractors to do the work as you are not living their full time – garden, pool, cleaning and maintenance as well as the security aspect. And often, paying community fees on a development or complex is cheaper than maintaining your own second home. In addition there are annual rates, wealth tax and tax on presumed income to consider. I run into folks everyday who want to list their homes, but failed to do most or any of the regular maintenance or updating required to stop any damage that was going on. I counsel my buyers now to expect 1-2% of the price of the home in maintenance every year. If they don’t spend that on average over the life of the home, then they can expect to have a balloon expense when they go to sell and an inspector gets in there. Well written article. Sent this to my copywriter friend – sure he will like it. I agree. People do not think about the utilities, water and upkeep on the outside, plus general maintenance. Oh yeah and not to mention taxes and insurance. This article points out some things I notice all to often. So many home owners have bigger eyes than budgets and do tend to overlook the obvious when it comes to other expenses, even though the majority of them have already been paying most of these in one form or another. People should always try to undercut their maximum budget and then use the money they save for a vacation or paying off their home quicker. Wow, a $225K downpayment. Now that is some savings effort! Oh yeah we deal with this a lot. With investment properties there are even more costs (vacancy and advertising) that potential investors forget to calculate. We run into investors forgetting to calculator in all the expenses when we help people looking at potential foreclosure. I think the get rich quick books really leave out quite a few important details. While I agree that “the size of your home-related expenses will depend on how LARGE a house” you buy, I think this only applies if the house has been poorly or never maintained and/or is extremely large — with 10 or more bedrooms and an equivalent number of bathrooms, for example — in comparison to the average sized home which, according to the National Association of Home Builders, was 2,330 square feet in 2004 and, according to the Census Bureau, in 1990 had an average of 3 bedrooms. Having been involved in real estate most of my life, I have learned from experience that maintenance or lack thereof is a critical factor in determining home-related expenses. Selling your regularly and meticulously maintained 20-year-old 4-bedroom, 3 1/2-bath house in order to “downsize” to a “newer” 7-year-old never-maintained 2-bedroom, 2-bath home can mean spending thousands of dollars upfront, immediately after your purchase, in order to bring the home up to where it would have been had the former owners bothered to do any maintenance. Since there seems to be a “trend” of intentional neglect toward nearly everything each of us in the U.S. owns, including our homes, finding a home that has been well-cared for and whose systems have been maintained might take several months and be extremely difficult, if not impossible. 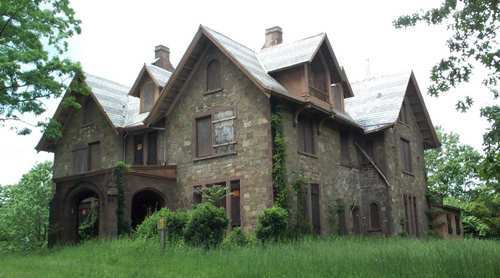 At least properties are now priced “correctly” to reflect this neglect. I remember as a child asking my mother why homes became more expensive as they grew older while nearly everything else lost value. I believe that this “correction” from inflated home prices to, in many cases, homes priced at less than when first built 25-plus years previously now reflects the properties’ true value. In today’s market, I would recommend that each buyer have an extra $20,000 saved and set aside to repair, maintain and replace as needed in the property purchased. In my city, so many properties were neglected and unmaintained for so long that I’m certain it would cost less to build a new home than to bring the property currently on the lot “up to snuff”. As one of the few people who take great care of homes, I envied the buyer of my prior home, a 16-year-old house that, despite my renting it out for a few years while I was married, inspectors and Realtors said was so well maintained it was comparable to a new home. I also felt sorry for the buyer because of why I moved: Changes, for the worse, in the neighborhood. I didn’t realize it, but within a period of a little over a year, I found myself with the best house in the worst neighborhood. I wanted to “downsize” to a smaller, newer home in a better neighborhood, and knowing that most people, unlike myself, have little or no respect for property (and other people) and have never heard the word “responsibility”, I found the house I wanted in the area I wanted and got a Realtor willing to play hardball who made sure to get me the house for the lowest possible price, $10,000 less than the asking price which had come down considerably over the prior several months as the market changed and the owners had increased difficulty selling the house. I also had an extra $15,000 saved for maintenance, and believe me, I’ve been using it. A toilet in the master bath had originally been plumbed to the hot water line, so I needed to pay a plumber to plumb it correctly, to the cold water line. The dishwasher leaked because the owners never replaced a seal. Not only did it seem that the prior owners, an elderly couple, practiced “intentional neglect” but that they also did some intentional damage or allowed or encouraged others to damage what they could. This is the only explanation I have for damage done to refrigerator parts, to the concrete patio, to the pantry, to bath fixtures and to the vents because my former home, 6 years older and with older appliances, etc., was in far superior condition. In addition to having extra money set aside for repairs, etc., I recommend a home warranty, although I don’t know of one I can recommend. I have a list of many I would not recommend or use, and I have the name of one I intend to purchase based on advice from a friend. I think almost any home needs a certain amount of repairs or upgrades when a new owner takes possession. We tend to learn to live with the flaws of our homes and often keep them until we are ready to sell, then we fix them. I am a house painter in Ann Arbor, MI, and it is extremely common for new homeowners to miscalculate their costs when it comes to paint. Many tend to view it as strictly cosmetic, putting it off for years, only to discover that their old paint has let water in, and with it rot necessitating wood replacement and larger bills. I think if there is any silver lining to this recession it may be people pausing to do all of the math with regards to significant purchases like a home, and hopefully it will lead to proper budgeting and more holistic planning with regards to a home. Also, the oft repeated pre-housing bubble mantra that a home is an “investment” can be true, but not in the way most people think. When I buy a stock or a local bond, I don’t have to pay monthly to keep it up, and we really should shift our paradigm of a home’s place in our portfolio. Home ownership cost you no monthly rent checks, the freedom to do with your home as you please, the ability to recoup your purchase price, and knowing that every month you’re building financial equity in the home. However despite all the positive aspects of owning your own home, it isn’t always easy. Home ownership comes with responsibilities, headaches and financial burdens that we’re not always ready to tackle. Another aspect is that people often buy more house than they need. I live in a 1200 s.f. apt. If I bought a single family home I would likely buy a bigger home – 600 s.f. on a two floors is pretty tiny. You also buy a lot of land that is useless for most people, unless you like watching the grass grow. Then there’s the snowblower, the riding mower, the fancy car to keep up with the Joneses. You also buy what amounts to very expensive storage space – closets, attics, basements filled with more and more stuff you don’t even use. You could store the items for a lot less. Then there are all the home improvements. Furniture and fixtures will be more expensive. So basically, the purchase of a home triggers lots of unnecessary consumer spending which is a silent cost of home ownership. We purchased a home three years ago and found out the previous owner covered up an upstairs bathroom leak pretty good and it ended up costing me several thousands to fix the ceiling downstairs and mold that had been growing in the walls. My advice? Save 10k to 15k for any future repairs like mine. I personally own a small a small condo 1,200 sq. ft. and believe now that I have made the right choice. Smaller is better all the way around when you don’t have a big family. Well, one good way to lower your house’s costs is to replace all your traditionnal lights by LED lights. At first it may be a little bit expensive but in the end you’re really going to see the difference on your power bill.